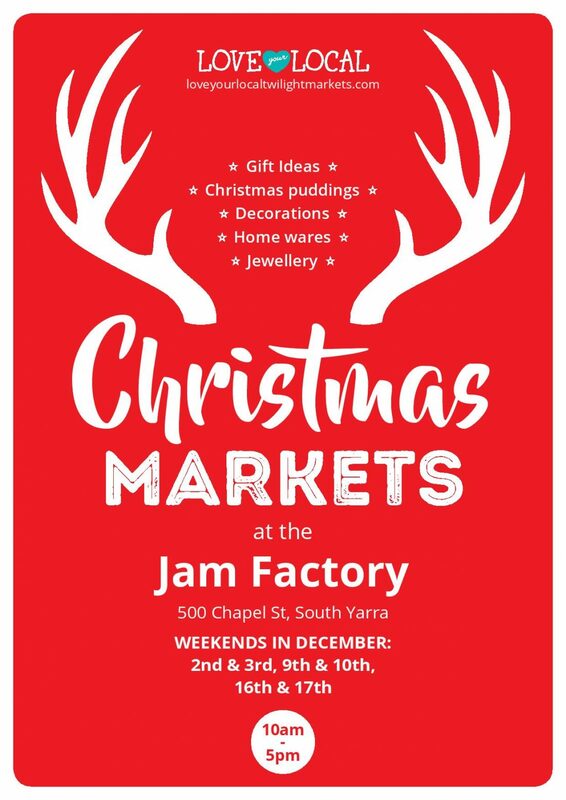 Join us at the Jam Factory for the Love Your Local Christmas Markets from 10am – 5pm over the following weekends in December, 2nd & 3rd, 9th & 10th and 16th & 17th December. Featuring local vendors selling jewellery, Christmas accessories, food and fashion. Consider your Christmas Shopping sorted!